Two of the top 10 hot cross buns in the country are baked in Masterton, according to the Bakery Industry Association of New Zealand. The association ranked Ten O’clock Cookie Bakery Cafe’s Easter offering the third best of 2019, while the eighth best was baked by Masterton’s Pak’nSave. Michael’s Bakery, in Christchurch’s Hillmorton, took out the top spot. Pak’nSave owner/operator Andrew Summerville credited its high placing to a trio of things – new bakery manager Jenna Mangin, a bit of luck, and, “an incredibly good product”. Mangin worked at Ten O’clock Cookie for almost a decade, before going on a year-long overseas trip and coming back to become Pak’nSave’s bakery manager. 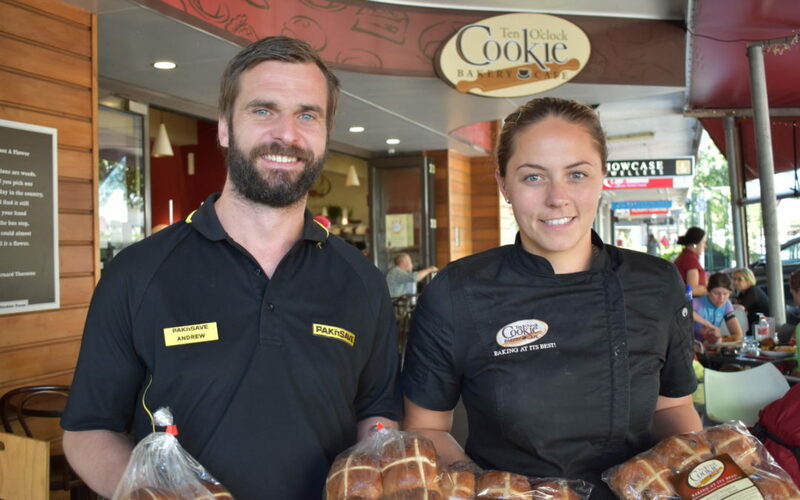 Both Ten O’clock Cookie Bakery Cafe and Pak’nSave agreed it was “phenomenal” a small community like Wairarapa had two of the best 10 hot cross buns in the country.